The pharaohs also had to resort to the police to conserve order in the Nile country. We know their daily life thanks to the reliefs of the tombs and the archaeological studies. Life in ancient Egypt was tremendously hard, as in any point of the globe at that time. Not only because the Nile was not generally a merciful river, but also because, although Pharaoh had to keep the chaos away from his subjects, he also had to resort to the police to conserve order in the country. 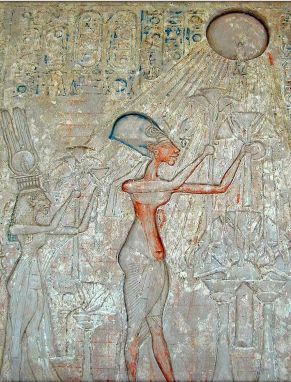 Akhenaten and Nefertiti (left) worshiping the god Aten. In any case, it was not a national police body with a rigid hierarchy that followed the central orders emanating from the pharaoh through the vizier. Actually, police work did not need centralized management. Nor is it surprising, because, until the Middle Kingdom (c.2050-1750 BC), Egypt also had a stable army, beyond the small party of bodyguards that protected the life of the Pharaoh. Now, as the Egyptians had become masters in the use of large work forces, they knew perfectly well that tensions and frictions are a daily occurrence in groups of people who have to live in limited spaces. So Pharaohs were concerned to have people who maintained order among their workers. Of all the policemen of ancient Egypt, there is one of which we have somewhat more detailed information about him. This is Mahu, the “police chief of Akhenaten”, who was responsible for maintaining order in the city of Amarna when Akhenaten reigned there. Thanks to the reliefs of his tomb and the archaeological studies of the capital of Aten, we know how it was the work day of a policeman. Like the rest of his compatriots, Mahu woke up with the dawn. Four policemen gave him a report on everything that happened during the night. He read it standing up, leaning on his long cane, which for the Egyptians denoted authority. Around him he had those who might be his secretaries. After reading the report of the events, Mahu surely visited the trouble spots during the night. This inspection was carried out accompanied by half a dozen policemen. The criminals captured during the night by his subordinates were taken to the police chief, who immediately handed them over to the competent authorities. Tombs of southern Amarna, where Mahu, police chief of Akhenaten, was buried. Keeping an eye on the limits of the city “a bubble of order surrounded by the chaos of the desert” was very important. 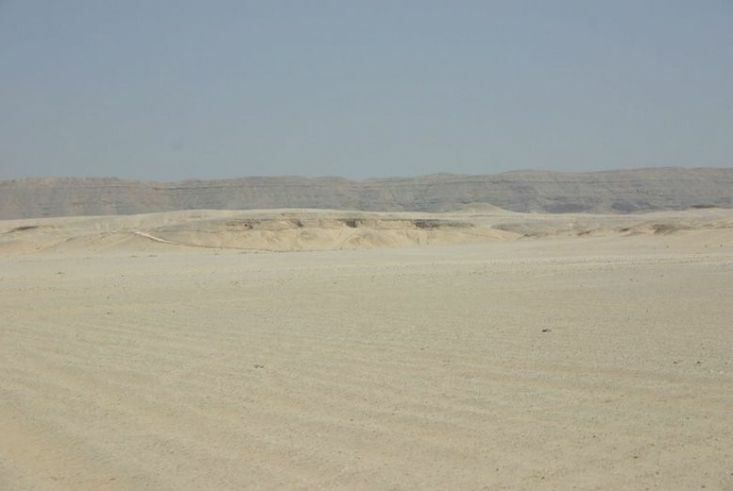 Therefore, a guard road ran through Amarna, but also the surrounding desert; in particular, the stone village and the workers’ village, both surrounded by several interconnected roads, which the police used to patrol. These works of protection of the territory were facilitated by the own topography of the city, it was very flat. As If this were not enough, Mahu had among its obligations to keep out his pharaoh of all risk, as also shows from the walls of his grave. In it we see him waiting for the royal couple to return to the city, after having performed some kind of ceremony. And so it was, little more or less, the life of the policemen in ancient Egypt.